Before we dive into some WordPress security plugins, let’s start with an example. Say you buy a new house. This exciting new investment requires a hefty down-payment you’re probably not used to spending. And, of course, you’re hit with inspection fees prior to buying. Then comes the mortgage and insurance payments, all of which come straight out of your pocket. They say purchasing real estate is one of the best investments you can make, but that investment is a costly one. For such a high-value investment (and something that could make you big bucks in the future,) would you not want to protect it to the best of your ability? That’s why you buy insurance and consider setting up an alarm system or some security cameras. Many experts suggest at least placing a security system sign on your door, to scare away those who don’t want to risk it. All of this security is meant to protect the initial investment, along with the potential for that investment in the future. And you should think the same way when it comes to your WordPress website. Starting a blog, ecommerce website, or small business site requires an upfront investment for items for services and products like hosting, themes, plugins, and website development. That doesn’t include any help you must hire, such as customer service reps or salespeople. This initial investment alone is enough to secure your website from the start. But more importantly, you’re making sure that you don’t forget to protect the potential money you’re going to make in the future. The security of your site is only as good as the backend and foundation it’s running on. That’s why it’s important, before looking into security plugins, that you choose a WordPress host that has security measures already in place, such as Kinsta. Many of these safeguards are done at the server-level, and can be far more effective, without harming performance on your site. Not to mention you don’t have to spend time fiddling with a bunch of security settings in plugins which in you might not even understand their functionality or purpose. Here are a few security features that Kinsta offers on all WordPress managed hosting plans. Kinsta detects DDoS attacks, monitors for uptime, and automatically bans IPs that have more than 6 failed login attempts in a minute. Only encrypted SFTP and SSH connections (no FTP) are supported when accessing your WordPress sites directly. Hardware firewalls, along with additional active and passive security measures are in place to prevent access to your data. Our open_basedir restrictions also don’t allow execution of PHP in common directories that are prone to malicious scripts. Kinsta uses Linux containers (LXC) on top of Google Cloud Platform (GCP) which provides complete isolation for not just each account, but each separate WordPress site. This is a much more secure method than offered by other competitors. GCP also employs data encryption at rest. Kinsta only runs supported versions of PHP: 5.6, 7, 7.1, 7.2, and 7.3. Unsupported versions of PHP are dangerous due to the fact that they no longer have security updates and are exposed to unpatched security vulnerabilities. Nothing is ever 100% hack-proof, and that’s why Kinsta provides free hack fixes for all clients. It’s important to note that a lot of security plugins cause performance issues due to their always-on and scanning functionalities. That’s why Kinsta bans some (not all) security plugins. Kinsta also utilizes load balancers with Google Cloud Platform which means in some cases IP blocking features of some security plugins won’t work as intended. If you’re a Kinsta client we highly recommend utilizing a solution such as Cloudflare or Sucuri, along with Kinsta, if you need extra protection or help to decrease bot and or proxy traffic. 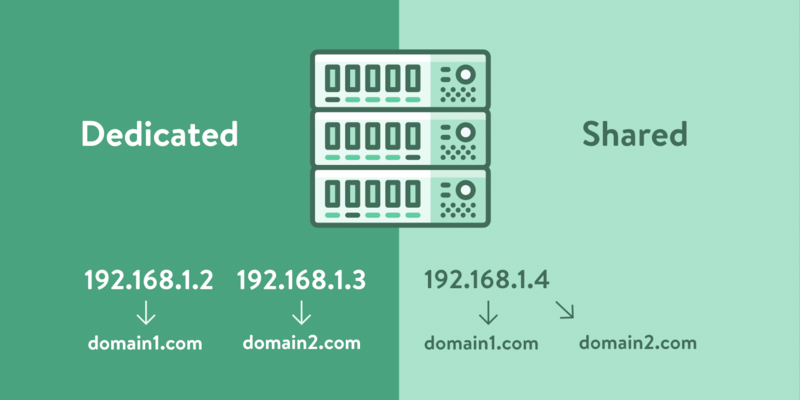 Check out our blog post on how Sucuri helped to easily mitigate a DDoS attack. However, not every host is going to have as tight of security in place as Kinsta, and that’s where WordPress security plugins can be very beneficial. If you’re in a hurry, feel free to click on the following links to test out the security plugins and make your own decisions. If you’d like to see our in-depth analysis, keep reading! Most worthwhile security plugins have a price tag, but there are a few that come with limited functionality for free. We’ll talk about the pricing, but it’s more important to understand what each plugin is going to do for you. Ultimately, it’s all about figuring out the best way to keep the bad guys away from your investment–and sometimes that means spending a little money. As for the free features, the plugin comes with security activity auditing for seeing how well the plugin is protecting your website. It has file integrity monitoring, blacklist monitoring, security notifications, and security hardening. The premium plans open up customer service channels and more frequent scans. For instance, you might want a scan to be completed every 12 hours. For that, you’d pay about $17 per month. The iThemes Security plugin (previously known as Better WP Security) is one of the more impressive ways to protect your website, with over 30 offerings to prevent things like hacks and unwanted intruders. It has a strong focus on recognizing plugin vulnerabilities, obsolete software, and weak passwords. Although some basic security features are included with the free version, we highly recommend upgrading to iThemes Security Pro for the low price of $80 per year. This provides ticketed support, one year of plugin updates, and support for two websites. If you’d like to protect more sites, you have the option to upgrade to a more expensive plan. As for the primary features in the pro version, iThemes Security Pro provides strong password enforcement, the locking out of bad users, database backups, and two-factor authentication. These are only a few of the ways to protect your site with this WordPress security plugin. You can activate 30 total security measures, making iThemes Security Pro a great value. Wordfence Security is one of the most popular WordPress security plugins, and for good reason. This gem pairs simplicity with powerful protection tools, such as the robust login security features and the security incident recovery tools. One of the main advantages of Wordfence is the fact that you can gain insight into overall traffic trends and hack attempts. Wordfence has one of the more impressive free solutions, with everything from firewall blocks to protection from brute force attacks. However, a premium version is sold starting at around $99 per year for one site. The plugin creators also make it cheaper for developers, providing steep discounts when you signup for multiple site keys. For instance, opting for 25 keys cuts the price to about $29 per year for each site. Overall, it pays to consider Wordfence if you’re developing multiple websites and want to protect them all. The free version is powerful enough for smaller websites. Developers can save tons of money when they signup for multiple site keys. The scan portion of the plugin fights off malware, real-time threats, and spam. The plugin monitors live traffic by viewing things like Google crawl activity, logins and logouts, human visitors, and bots. You gain access to some unique tools like the option to sign in with your cell phone and password auditing. The comment spam filter removes the need to install a separate plugin for this. As one of the most feature-packed free security plugins, All In One WP Security & Firewall provides an easy interface and decent customer support without any premium plans. This is a highly visual security plugin with graphs and meters to explain to the beginners metrics like security strength and what needs to be done to make your site stronger. The features are broken down into three categories: Basic, Intermediate, and Advanced. Therefore, you can still take advantage of the plugin if you’re a more advanced developer. The main ways this plugin works is by protecting your user accounts, blocking forceful attempts on your login, and enhancing the user registration security. Database and file security is also packaged into the plugin. The majority of plugins that have individual security features don’t make much sense to install. The reason for this is because you can typically go with a plugin like iThemes Security Pro and get that one feature along with dozens of other ones. However, two-factor authentication is a different story, since it seems like most security suites don’t include it. Therefore, it might make sense to harden your login security with a plugin like this. Security Ninja has been around for over seven years. Starting out as one of the first security plugins sold on CodeCanyon (with four add-ons available) it moved to a freemium model in 2016. Add-ons were ditched in favor of having just two versions – free and premium. 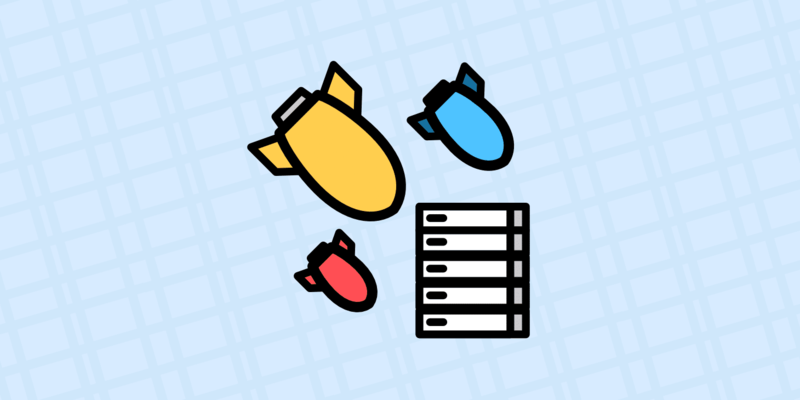 The main module (which is the only one available for free) performs over 50 security tests ranging from checking files and MySQL permissions to various PHP settings. Security Ninja also does a brute force check of all user passwords to weed out accounts with weak passwords such as “12345” or “password”. This helps educates users on security. It does include an auto fixer module, but for those who want to understand what’s going on, there’s a detailed explanation of every test including code to manually fix the security issue. If you don’t like plugins messing with your site, Security Ninja offers a nice alternative to the usual “just click here to fix it” approach. Other modules in the paid version, start at $29 a year per site. The security tester module (available in the free version) performs over 50 security tests across your site. Not tech-savvy? No problem, the auto fixer module can resolve any issues detected. Scan WordPress core to ensure the integrity of the core files by comparing them to a secure and latest copy from wordpress.org. Scan plugins and themes in search for suspicious code and malware. Take advantage of a huge list of known bad IPs and automatically block them. Log all events that are happening on your WordPress site, from users logging in to settings being changed. You can schedule regular scans. Defender is layered WordPress security made easy, like stupid, simple. The free and pro version both start with a list of the most effective hardening technics for instantly upgrading your WordPress security. You can run free scans that check WordPress for suspicious code. The Defender scan tool compares your WordPress install with the directory, reports changes and lets you restore the original file with a click. They also offer a pro version which includes cloud backups with 10 GB remote storage, audit logs for monitoring changes, automated security scans, and blacklist monitoring. Their experts will even help you clean up a hacked site. WordPress core file scanning and repair. IP Blacklist manager and logging. Timed Lockout brute force attack shield for login protection. 404 limiter for blocking vulnerability scans. IP lockout notifications and reports. Astra Web Security is a go-to ‘security suite’ for your WordPress site. With Astra you don’t have to worry about malware, SQLi, XSS, comments spam, brute force, and 100+ threats, which means you can get rid of other security plugins & let Astra take care of it all. Astra’s super intuitive dashboard doesn’t come with a hundred buttons that make you feel like you’re a pilot in a cockpit! Many prestigious brands like Gillette, African Union, Ford, and Oman Airways use Astra security solution. Their pricing starts from $9/m and they offer flat 20% off if the plan is billed annually. Overall, Astra can be a good investment if you’re planning to spend money on your website’s security. Astra security solution is installed as a WordPress plugin & there is no need to change DNS settings. They offer immediate malware cleanup, a rock-solid firewall which stops attacks like SQLi, XSS, Code Injection, Bad Bots, Brute force, SEO spam, and other 100+ cyber attacks. Complete security audit including the business error logic for your WordPress website. Intuitive Dashboard logs all attacks and gives you an option to block or whitelist country, IP range or a URL, continuous blacklist and reputation monitoring, hourly admin login notifications and much more. A free community security or bug bounty management platform where you give hackers a safe and secure way to report any vulnerability that they find on your website. Every reported issue is validated by Astra’s engineers. The number one role of Shield Security is to take on your increasing burden of site security. We’re all short on time so we need smarter defenses and a security plugin that knows how to respond to threats without bugging you with emails. Suitable for both beginners and advanced, Shield starts scanning and protecting your site from the moment you activate it. All options are fully documented, so you can dig further into your site security at your leisure. The core of Shield Security is free forever. Professionals and business who need deeper protection and hands-on 24-hour support at the ready, can get Shield Pro for just $12/site. 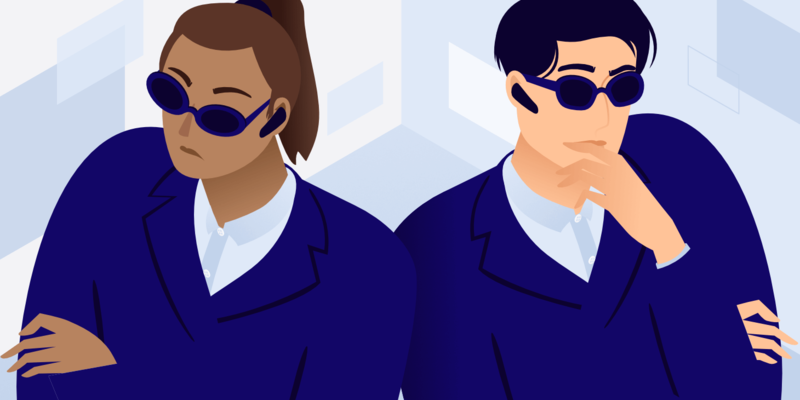 The mission behind Shield Security is ‘no website left behind’ – where the goal is to make Pro-Grade security accessible for every site, not the just wealthy few. Pro brings more scans, that run more often, user password policies, bigger audit trails, support for WooCommerce, traffic monitoring and features that make security policies smoother for its users. One of the only security plugins that restrict access to its own settings to certain users. Smarter protection with features that work tirelessly in the background without bugging you with notifications. The only security plugin to offer three types of two-factor authentication for free and an option to select which users that may use it. Pro upgrades for everyone at $12/site – bulk pricing without the bulk purchase. Pro delivers 6x powerful scans to detect problems in all areas of your sites. For the best value – Sucuri Security, SecuPress, Jetpack, iThemes Security, or Shield Security. If you’re looking for a security plugin for beginners – All In One WP Security & Firewall, Security Ninja, or Defender. When you require a more advanced brute force protection plugin – WP fail2ban or Astra. Besides installing a plugin you can take further steps to improve the security of your sites. For example, Lockr’s offsite key management (this is a premium service) solution protects against critical site vulnerabilities and helps to secure your data. A simple integration is available for WordPress. Of course, we can’t cover all the plugins out there. These are simply those we recommend based on our experience with users. If there is one you think should be included in this list, let us know below in the comments. iThemes security (paid version) also has 2FA. Thanks Derek! We’ve updated the post above. Ed from AITpro, the primary developer of the BPS and BPS Pro plugins. The BPS and BPS Pro info above appears to be a bit outdated. The BPS and BPS Pro plugins now have a malware scanner. The BPS free plugin now has JTC-Lite, which is a stripped down version of BPS Pro JTC Anti-Spam|Anti-hacker. The BPS and BPS Pro plugin versions now have Setup Wizard AutoFix (AutoWhitelist|AutoSetup|AutoCleanup), which automatically provides 100+ fixes for plugins, themes, etc. by running the Setup Wizard and automatically sets up 6 popular cache plugins and performs other various automated tasks. BPS Pro actually has more security features than any other WordPress Security plugins by far. BPS and BPS Pro are actually now the easiest plugins to install and manage due to the Setup Wizard and the new Setup Wizard AutoFix feature. Most BPS Pro security features are automated and self-configuring|self-fixing these days and we are continually increasing that automation with each new plugin version release. Thanks for the update Ed! We have updated the post above with additional information regarding your BPS plugin. This article is queued for an update and we’ll make sure to include your WordPress security plugin. Thanks! The reason Wordfence is on our banned list is because it causes performance issues due to their always-on and scanning functionalities. Kinsta also utilizes load balancers with Google Cloud Platform which means in some cases the IP blocking features won’t work as intended. If you’re a Kinsta client we highly recommend utilizing a solution such as Cloudflare or Sucuri, along with Kinsta, if you need extra protection or help to decrease bot and or proxy traffic. However, not every host is going to have as tight of security in place as Kinsta, and that’s where WordPress security plugins such as Wordfence can be very beneficial. You have suggested using Cloudflare or Sucuri along with Kinsta, what is about iThemes?! Is not it better with Kinsta?! I’m using Sucuri’s service with Stop User Enumeration here on Kinsta. Also utilize iThemes on some installs. – Have you tried any of the above in combination? Is there an ideal stack that plays nice specifically with Kinsta? -Sucuri’s CDN vs Kinsta’s. Which one should I use for optimal performance? -What about DNS services? Seems like if I use Sucuri I should be pointing nameservers there and not here. Amirite? – I see a metric-ton of head-only requests coming from Amazon Datacenters all over the globe. Right now it seems centered from Ireland but it will change. Do these head only requests count as visits? Do they impact the server? Why are the happening, Brian?!? Thank you for this (and many other) informative articles. How about a review of malcare? This is the only security plugin I have found that removes malware automatically, guaranteed, or they will do it for you manually. are you using it? what are your thoughts?